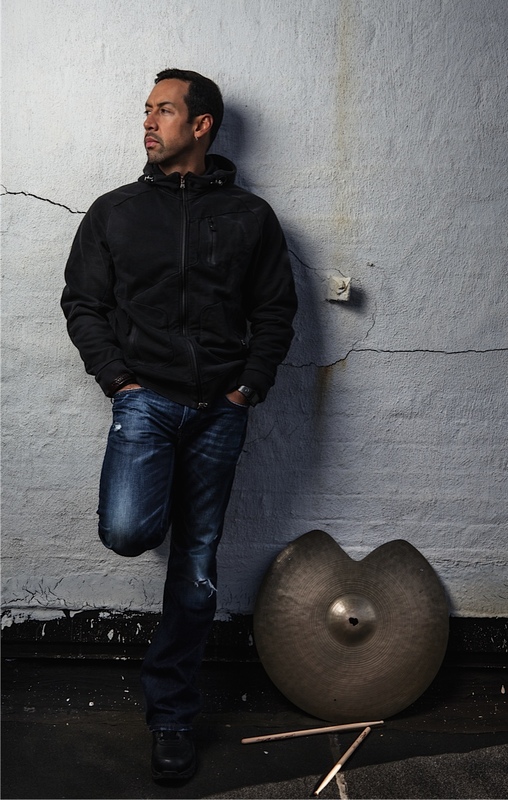 Mexican drummer and composer and four time Grammy Award winner, Antonio Sánchez is considered by many critics and musicians alike as one of the most prominent drummers, bandleaders and composers of his generation. 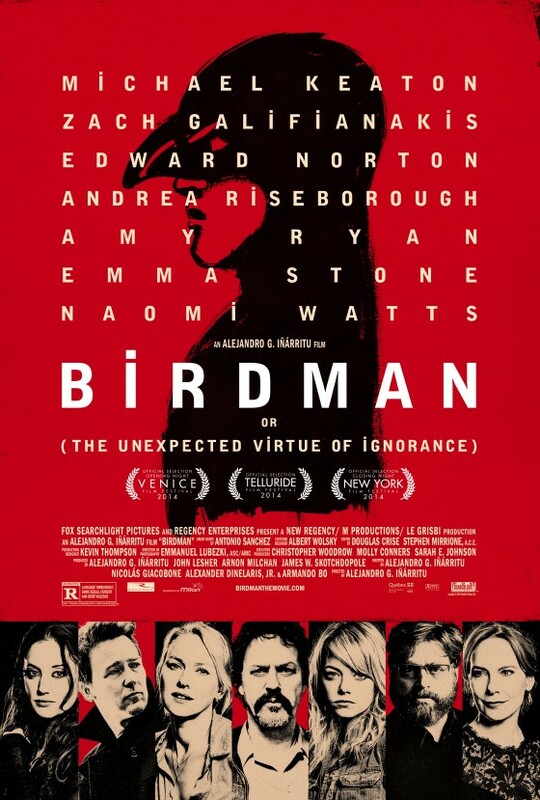 In January 2013, Sánchez was invited by acclaimed filmmaker Alejandro Gonzáles Iñarritu (Amores Perros, 21 Grams, Babel, Biutiful) to create the original film score for "Birdman" (Fox Searchlight) featuring Michael Keaton, Edward Norton, Naomi Watts and Emma Stone. Antonio Sánchez's film score has been nominated for a Golden Globe and a Critics' Choice Award, among others; and, has already won top honors at the Hollywood Music in Media Awards, Soundtrack Stars Awards at the Venice Film Festival, Las Vegas Film Critic's Society Awards and The Satellite Awards among others. To the surprise and dismay of many, the film score was disqualified from Oscar consideration. I reached out to Sánchez to discuss his perspective on his experience as a drummer and composer improvising music for a film score, the Oscar disqualification, and what message this decision sends to new composers and film scorers today trying to create original art that breaks free from the traditional status quo. Adriana Teresa: Congratulations on composing the original film score for "Birdman". How did this opportunity come to fruition? Antonio Sánchez:I have known Iñarritu, the Director for a long time. He is an avid music fan and knew my work with Pat Metheny. In January of 2013, he called to ask me if I wanted to do the original score for "Birdman". Of course, I said YES!! AT: What criteria, if any were you given by the Director González Iñarritu to compose the score? Sánchez: Iñarritu wanted a very loose, organic approach. He wanted the score of my drums to inject rhythm and energy into the film as well as set the pace for the long scenes. AT: How was the music used throughout the film? Sánchez:The music is very prominent. As soon as the movie starts, during the opening credits, you hear the drums. Right then, you know that this film is going to be different. Throughout the movie, the music is used to set the pace of the long scenes, underline the dramatic factors as well as the mental and emotional turmoil that the main character is going through. It was a long process, where Iñarritu sent me the script and under his instructions I started recording demos that he used as temp music for rehearsals and also for the actual shoot; so, I was involved even before a single frame was on tape. Then we got together in a studio and I recorded another batch of music as the Director explained every nuance in detail. After the film was finished, I went back into the studio and redid pretty much everything, while looking at the film-- this time around honing in on dialogue, timing, movement and the overall direction of the project. AT:What role does your music play for the film? Sánchez: I have heard a lot of people say that the drum solo is so prominent that it's almost like another character in the film. It's a very in-your-face approach. You might like it or not, but you cannot ignore it. AT: You have received numerous awards and recognition for this original film score. What about the composition do you think resonated in the audience and critics? Sánchez: I think rhythm is something that we can find everywhere in our every day lives. Everything we do and everything we are is rhythm. My drums were the vessel to portray this very organic and visceral approach to life and emotions. I think that's why people related to it in some way. Also, it's so unique and original that it definitely stands out among other scores. It's really the first of its kind for a movie of this caliber. AT: The Oscars disqualified your film score for "Birdman". Why? Sánchez: Their explanation is that the licensed or incidental classical music "dilutes" my original score enough that it deemed disqualification. AT: What is your perspective on the disqualification? Sánchez: The definition of "dilute" is: to make weaker, to make fainter, to reduce strength or force. Basically, what the Academy is saying is that the classical music takes so much away from my score that it is ineligible. I am a Mexican jazz drummer, who is not a member of the Academy, yet the score has been getting a lot of praise for something that I performed completely by myself on drums--an instrument that many might not consider worthy of producing emotion the way a symphonic orchestra would. I have been playing drums for over 38 years and composing for over 20. I perform hundreds of concerts around the globe every year and my main goal is always to communicate with the audience, and say something meaningful with my instrument. I think what we did in the film works because the score really helps tell the story of the emotional and existential turmoil of Riggan Thompson. Nobody walks out of that movie raving about the classical music. Instead, everybody talks about my score because it is very unique, new and powerful and it has never been done like that for a film. I believe that is why the score has been resonating with audiences and critics all over the world, which is the greatest proof that my work is not diluted. It also has been picking nominations and some awards along the way, which I'm deeply thankful and humbled by. My main issue with the disqualification is that it takes away from the artistic risk, innovation and originality that we put into the film score. I don't care so much about a nomination, I care more about my work being taken seriously by the Academy, even if the result of the film score breaks from the traditional norm of film scores. Why? Because it sets a bad precedent for other composers that will want to take risks and do something innovative. Looking back, I really didn't expect anything to come out of this experience other than the joy and honor of working with Iñarritu, in what I consider a cinematic masterpiece. AT: A drummer has a stigma of playing an instrument that is not traditionally highlighted front and center. You are changing this perception as a composer and bandleader. Why? Sánchez: It does not have to be that way. The drum set is such a rich and versatile instrument in terms of the array of emotions and evocative power it has. Rhythm is the backbone of music and drums are rhythm. I love to compose, improvise and showcase the amazing power my instrument has. AT: The opportunity to take a drum and bring it to the front for the audience to listen and experience in relation to a movie is unique. What message does this film score send to new composers and film scorers? Sánchez: It is possible to break new ground and do something that is completely opposite of the status quo when it comes to scoring for a film. AT: What advise do you have for new composers and film scorers today? Sánchez: Do what you need to do as an artist. Awards in art are always an opportunity for the practice of subjectivity, so they should always be taken with a grain of salt. Whether you win them or not, the most important thing as an artist is to push your boundaries and hope it will resonate with audiences. AT: Does the disqualification in any way stop you from continuing to take risks as a composer? Sánchez: Absolutely not. Quite the contrary. It actually makes me think that I'm on the right track and that I've actually tapped into something really special! 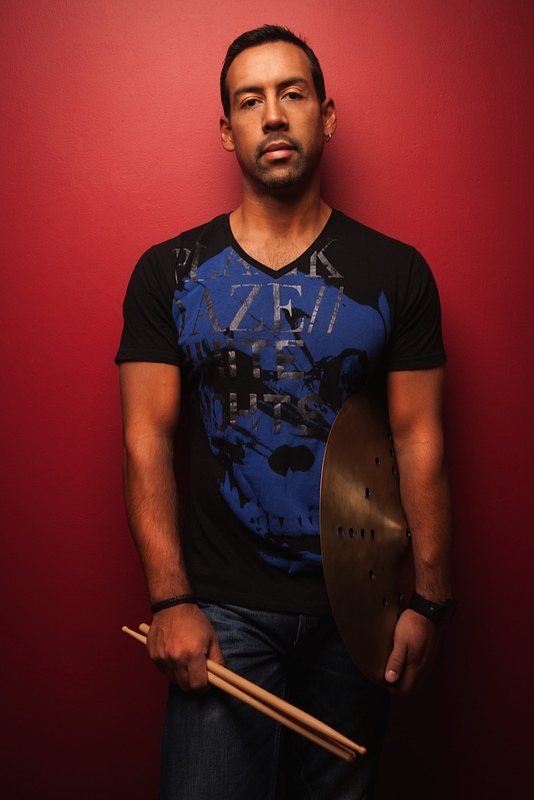 AT: What does it mean to be a drummer, a jazz drummer today? Sánchez: It means to be able to master your craft to the highest levels of execution, subtlety, emotion, collective and solo improvisation and performance. To be able to convey to the audience the widest array of feelings from your instrument and to always serve the music, tell a story and say something meaningful every time you sit behind the drum kit and to be the most complete musician you can be. The "In Conversation Series" is a column of interviews published by Adriana Teresa Letorney and produced as part of FotoVisura.com.